If you have taken a peak at the source code in CodePlex lately, you may have noticed a new library project called LtiLibrary. 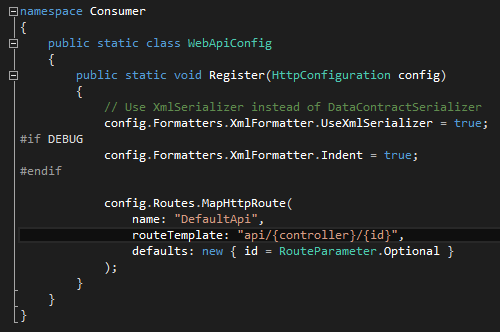 I’m slowly pulling the LTI specific code out of Consumer (and eventually Provider) to make it easier to explain the code, and to make it easier to reuse. Today I worked on the OutcomesController. This is the ApiController that implements the consumer side of the LTI 1.1 Basic Outcomes Service which is used to receive scores (grades, outcomes) from the provider. When the controller was part of the Consumer project, I mixed Consumer-specific code such as accessing the consumer database, with LTI code such as handling each outcome request. Since the outcome should eventually be saved in the database, I decided to implement the service as an abstract class in LtiLibrary called OutcomesControllerBase. Add the LtiLibrary project to your solution and reference LtiLibrary in your project. Create an OutcomesController that inherits from OutcomesControllerBase and implement the 4 handlers. That will turn your LTI 1.0 consumer into an LTI 1.1 consumer. This entry was posted in Uncategorized and tagged ASP.NET MVC, Basic Outcomes Service, LTI. Bookmark the permalink.